It’s been a an amazing six month run with artist Peter Simeti of Alterna Comics. We set the table for the first ever monthly original movie sketch card giveaway on the internet and Peter knocked it out of the park. 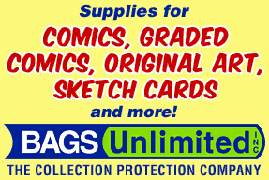 This will be Peter’s last original sketch card giveaway on InvestComics, but he does original sketch cards for fans all the time (for a small fee). Be sure to Like and Follow him on social media to inquire about your own requested card. Well worth it!! InvestComics / Social Media Giveaway is proud to present a an ORIGINALLY drawn sketch card from Alterna Comics‘ artist Peter Simeti of JACK of Nightmare Before Christmas! What a way to end a run, right?! LIKE these 3 Facebook pages: InvestComics – Alterna Comics – Social Media Giveaway. If you already like all 3, go to the next step! LIKE the post on any of the three Facebook pages. SHARE – You MUST SHARE the post from any of the 3 Facebook pages. Winner will be announced on December 21st 2016. Await the post(s) on social media before entering. SHARE when the post is up on social media. Help InvestComics With The Upkeep Of The Site. Thank You! This promotion is open to participants in the continental U.S. only. If you have won a giveaway from InvestComics LLC or Social Media Giveaway within the last 6 months, you are not eligible in this promotion. InvestComics LLC, Social Media Giveaway and Alterna Comics are not responsible for any lost item(s) or damages during shipping. There will be no replacement item shipped out once the product is in the sole possession of the delivery service of Alterna Comics’ choice. Employee’s or family members of InvestComics, Social Media Giveaway or Alterna Comics are not eligible for this promotional giveaway. Please allow ample time for your sketch card to get to you. Winner will be announced on December 21st. If you do not respond via message or email to our announcement that you’ve won on any of the social media that we post and tag you on within 15 days, your prize will be forfeited. No rainchecks. We will not chase you.